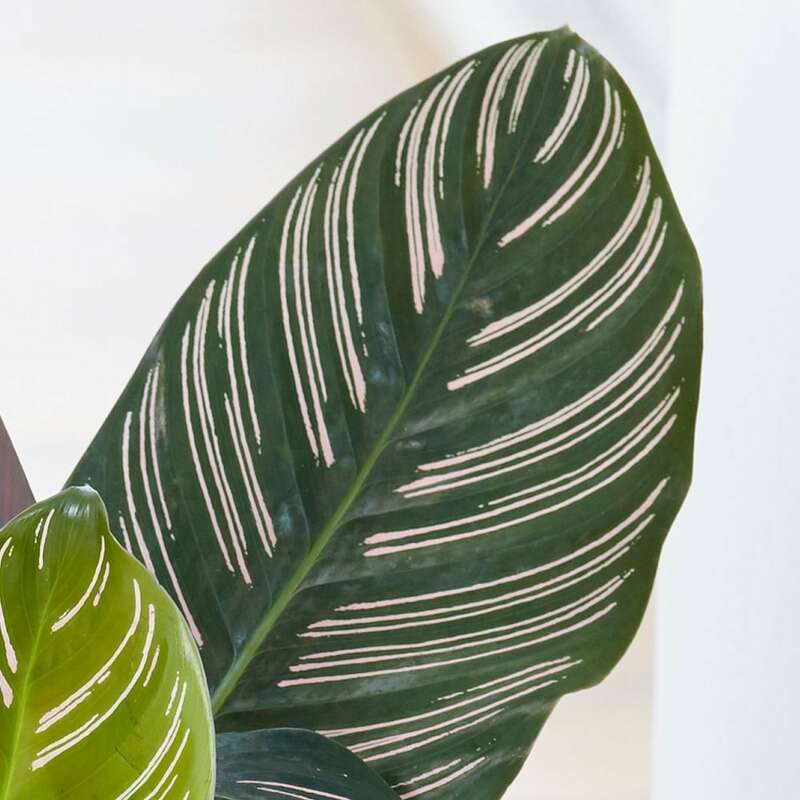 Foliage plants are very popular now adding freshness and life to our homes, whether they are displayed in a group or as a stand alone feature plant, they can help to improve our wellbeing. This Goeppertia, with its dramatic broad oval shaped leaves, emerging bright green with pinky-white zebra stripes radiating out from the central vein, will certainly look good in any room. As the foliage matures the leaves deepen to dark green with striking white strips and a dusty pink underside. 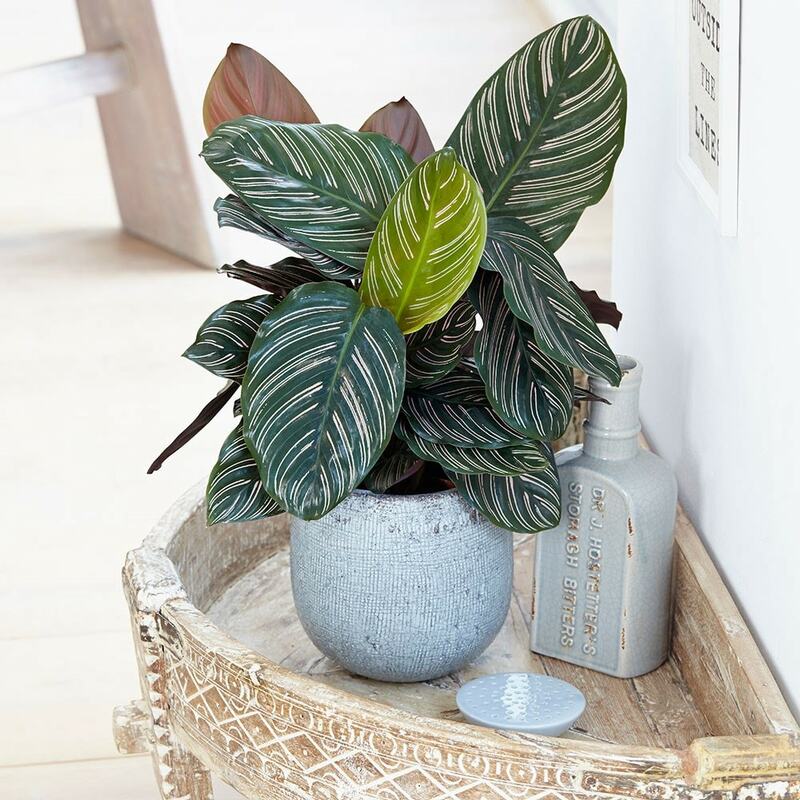 Please note that the pot in the photograph is not supplied with the plant (which is sent out in a black plastic pot). They do however make excellent potted plants, and if you wish to pot yours up, we do have a wide range of pots on our website to choose from.